To hack WhatsApp, you get to use a lot of different software for different devices. Whenever you want to do hacking, most people do find guides but they fail to find the software necessary for it and also, they don’t even know about those software. In this article, I am going to tell you about some of the software for both iPhone and Android devices so that whenever you are trying to invade into your own WhatsApp account or someone else’s, you can use that software. 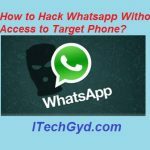 After a lot of search, I have come with three top apps with which you can easily hack into WhatsApp and get all the data you want. Also, along with the features of these software, I have given the free download link as well so you can get them from the reliable sources. 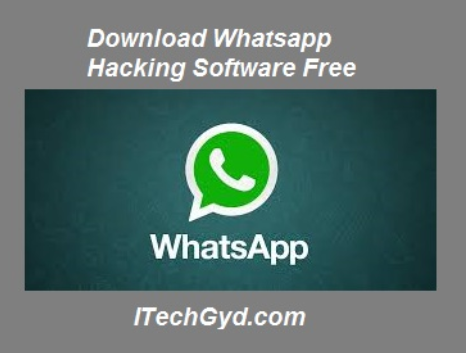 Let us tell you about top 3 WhatsApp hacking software. Learn how to protect yourself from whatsapp hacking. Dr. Fone for WhatsApp Hacking on iPhone and iPad. While you are on an iPhone or iPad device, the best app which you can use to hack your WhatsApp data is Dr. Fone. Even though this app requires the assistance of a computer to hack the app and get data. 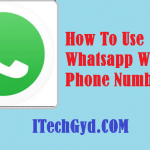 Also, I am going to show you quick steps to hack WhatsApp data by using this app so read them below. Download and install this app by downloading it from the free download link given below. After the installation, open it and connect your iPhone or iPad device to the computer. Now go to the data recovery tab of the app and scan all the data. Now the data which will be present in sections such as messages, pictures, and videos, recover it your computer by selecting it. And this is how you easily hack WhatsApp with the help of this software. Note that this can only be used to hack your own account which got lost and you wanted access. Download it this app from this free download link here. Spy Stealth Premium for Hacking WhatsApp on Android. Another app which you can use for hacking WhatsApp is this premium tool called Spy Stealth Premium. This is a tool with the help of which you can hack into your own account for retrieving the lost data or anyone else’s account and all you need to do is to get this software, install, and its user friendly interface will guide you to the rest of the process. After being paid, this app does not require anything else. All you need to do is to enter the number associated with the account, do the verification, and get all the data you want. The following are some of the exciting features of TheTruthSpy which makes it a perfect choice for How to hack whatsapp, hack whatsapp, hack whatsapp messages. TheTruthSpy software works by tracking all activity in the background of the monitored phone including GPS location, web history, images, videos, email, SMS, Skype, WhatsApp, keystrokes and much more. You can download this software free from here. So, did you like our list of Top 3 WhatsApp Hacking Software? If yes, then get any of them according to your choice. Keep visiting our website for more free hacks and guides. Schedule whatsapp messages on android. Two whatsapp accounts on one phone.